Divide the mix into 6 equal amounts and mould into burger shapes. Cover and refrigerate for at least 20 minutes so the burgers firm up below grilling. Pre heat your George Foreman grill to maximum temperature. cook the burgers for 8-12 minutes or until the juices run clear. 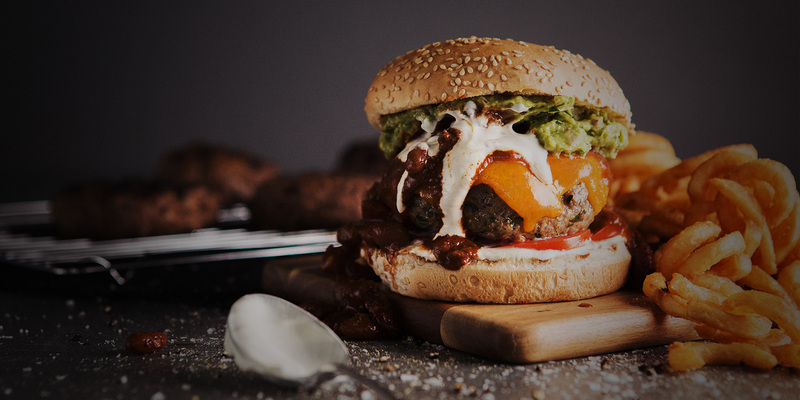 To serve: Put burgers in buns and top with chilli con carne, cheese, sour cream, guacamole and tomato slices.